In April of 2017, I was at a loss for what to paint next. 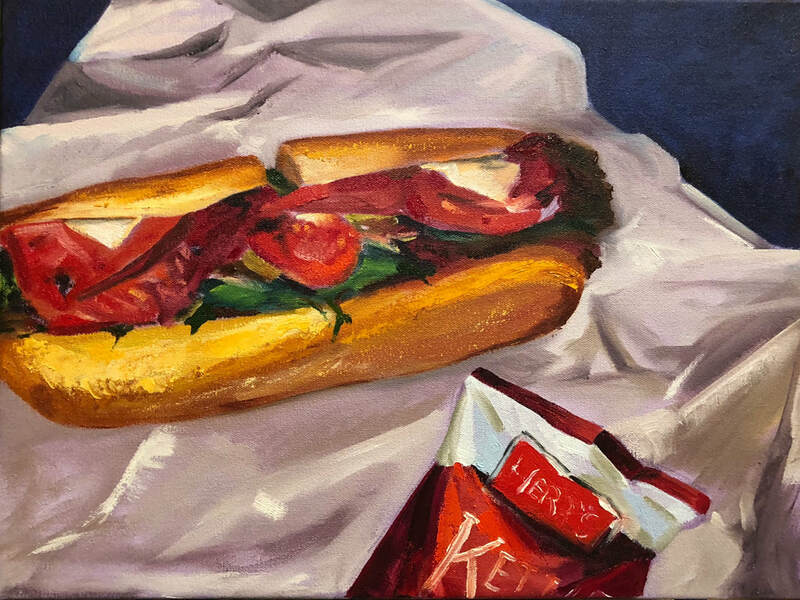 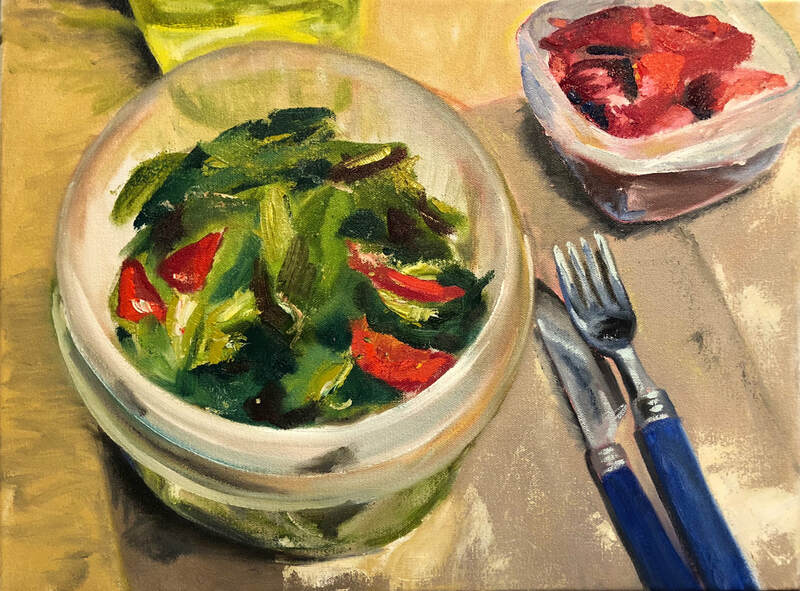 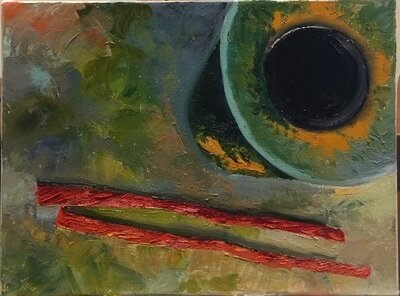 I had recently finished a painting class with an instructor who blew my mind and challenged everything I thought I knew about what I made and how I made those images. 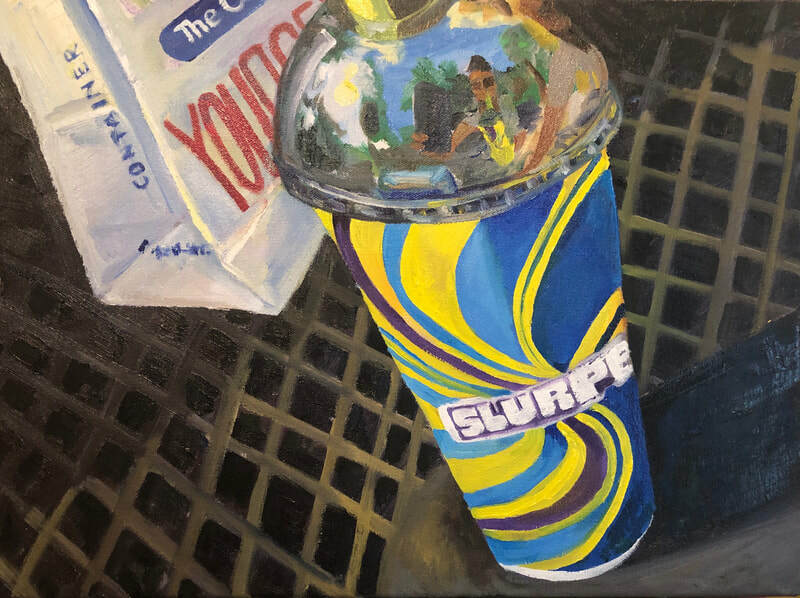 People I trusted suggested I should look at the work of contemporary artists who were making art I loved (Mike Geno, Karen Appleton); however when I did this, I felt like I had nothing better to say than what was already being said. 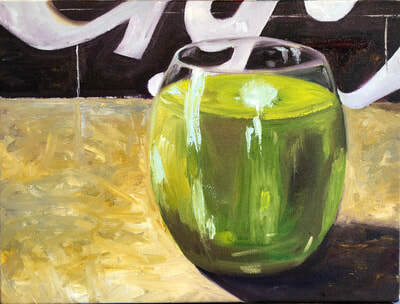 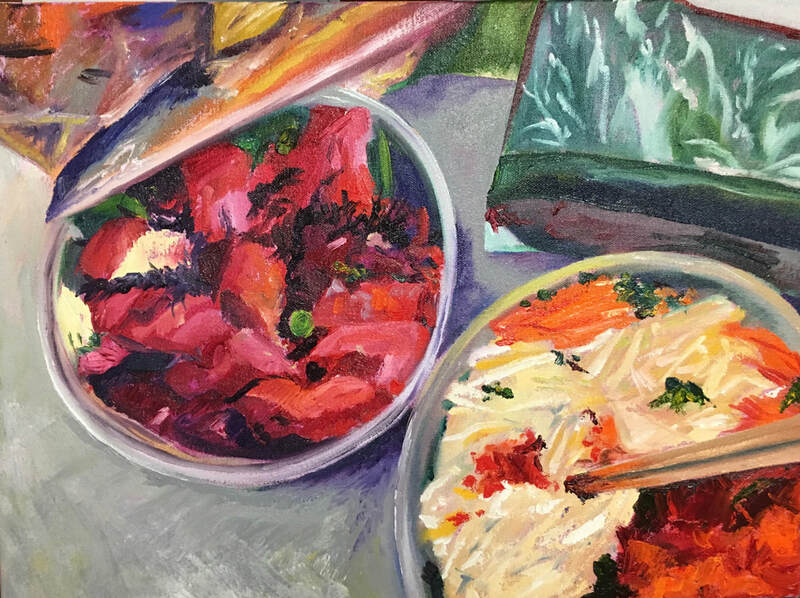 I knew I wanted to work within the genre of still life - and that I believed that a still life can be a portrait - but beyond this, I was stumped. 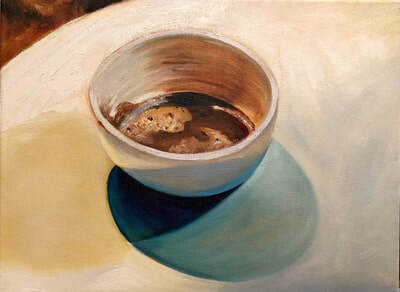 Then, an unusual event sparked an idea that led me to begin this series. I heard DMC (Darryl McDaniels) of RunDMC speak in Princeton, NJ. 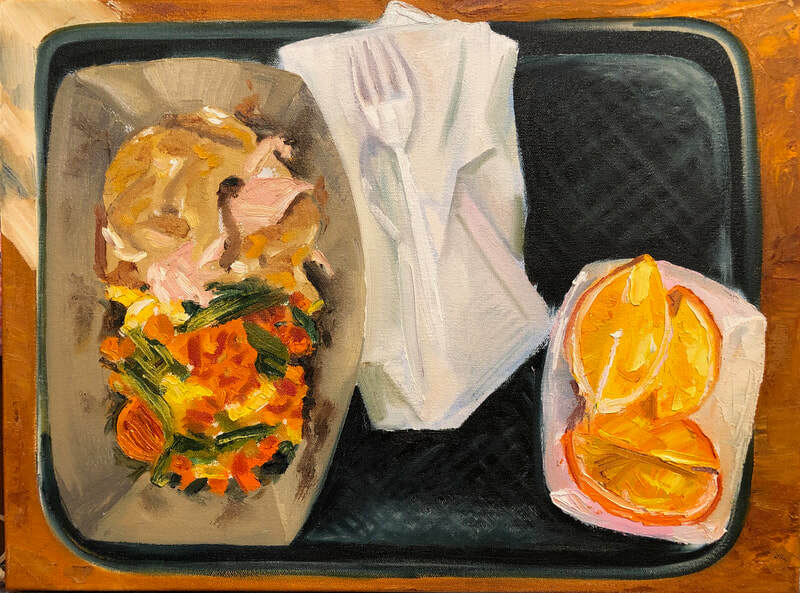 He spoke about his work with middle school kids and then about art - saying something to the effect of: in art, if you're doing what everyone else is doing, STOP, do the opposite. 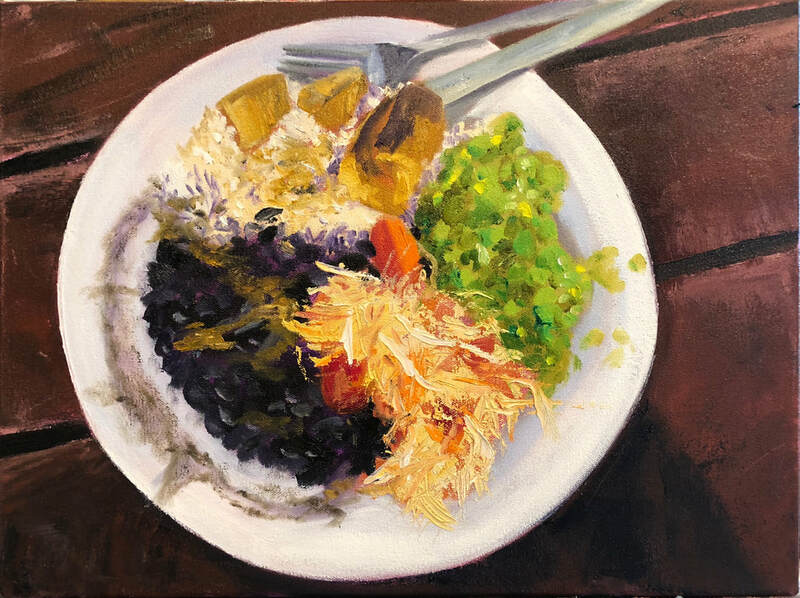 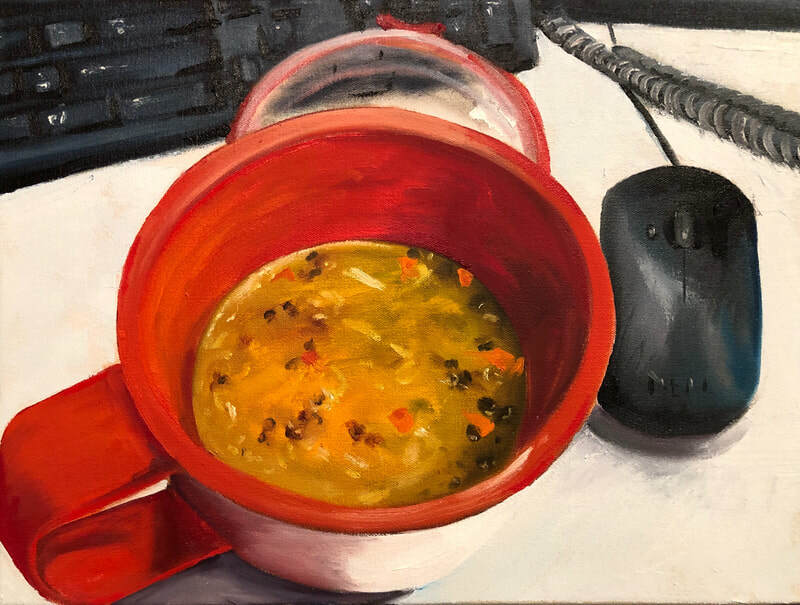 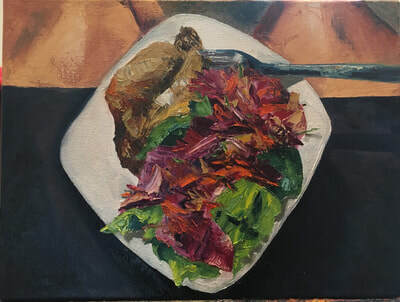 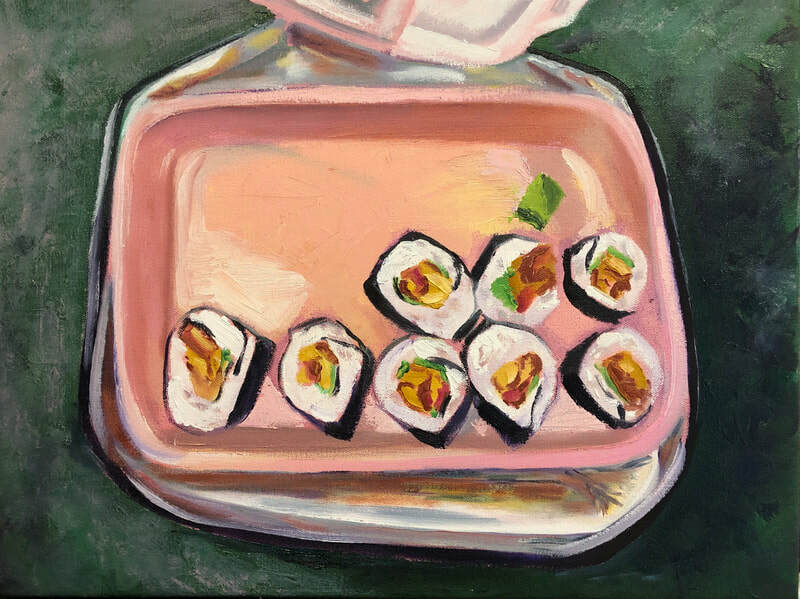 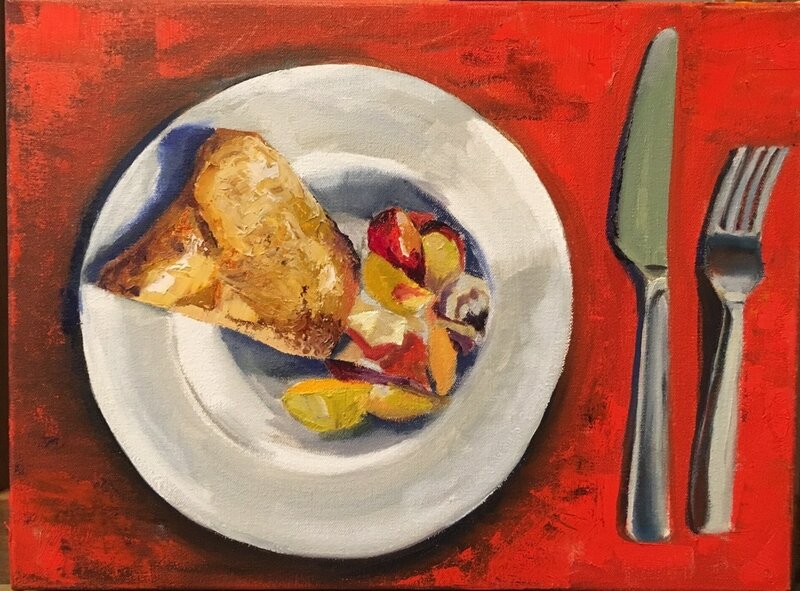 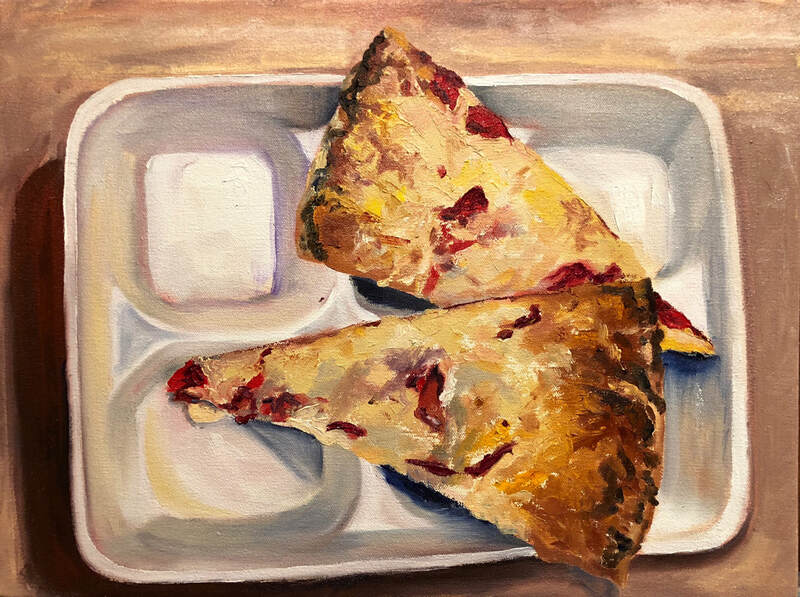 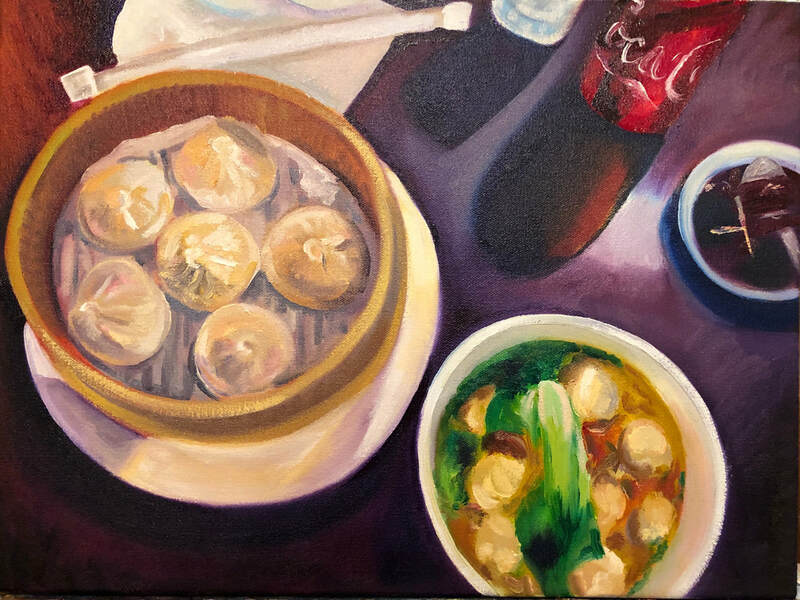 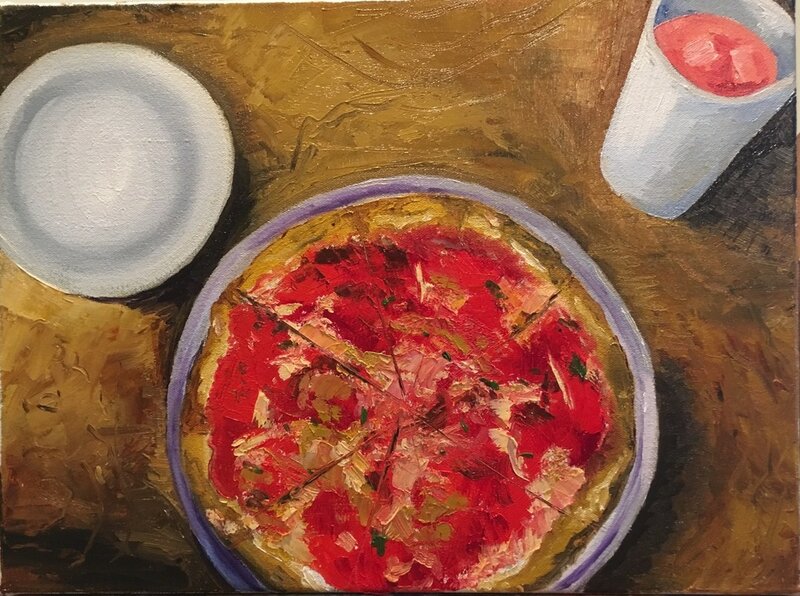 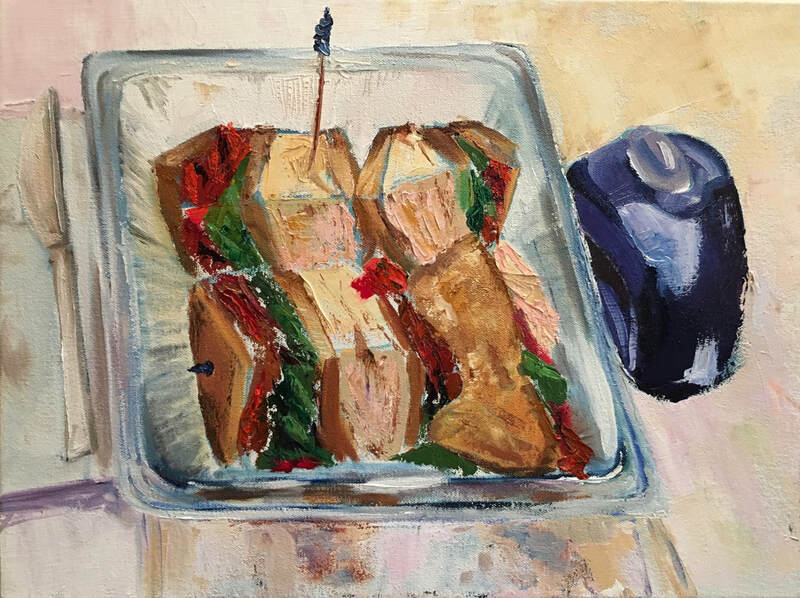 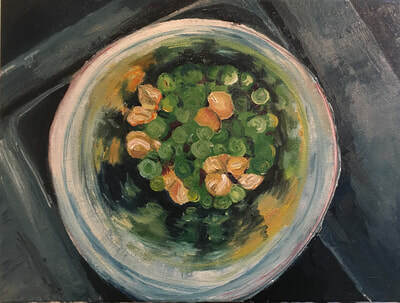 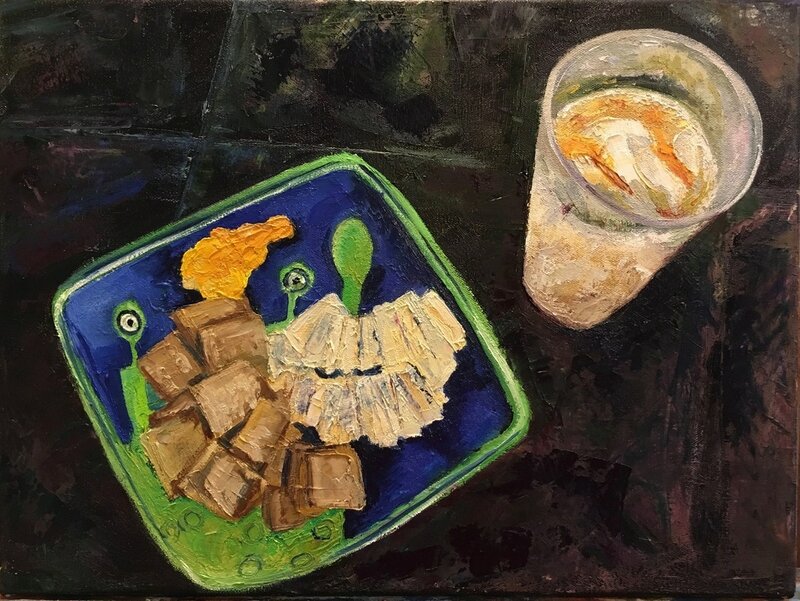 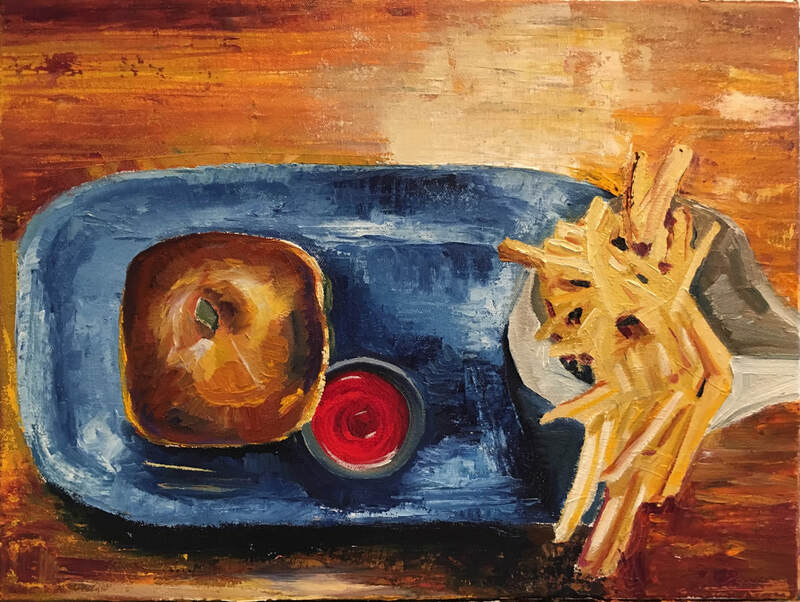 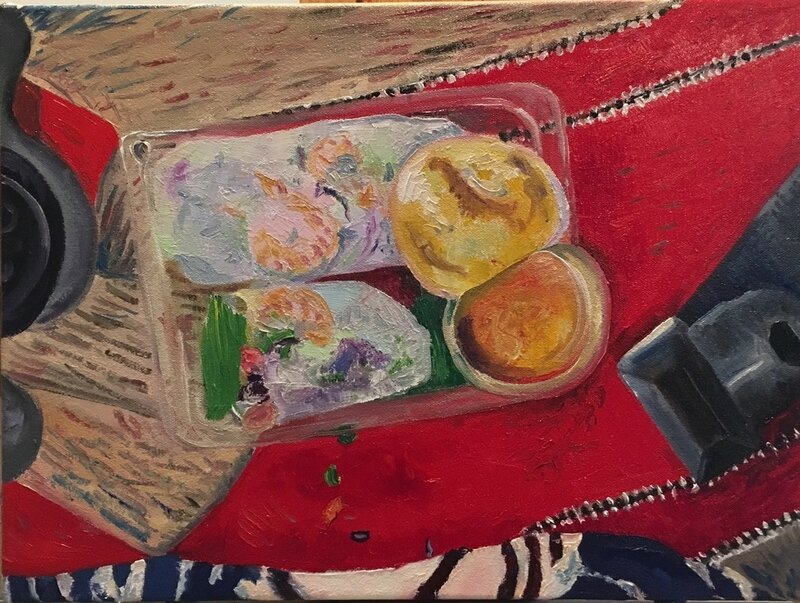 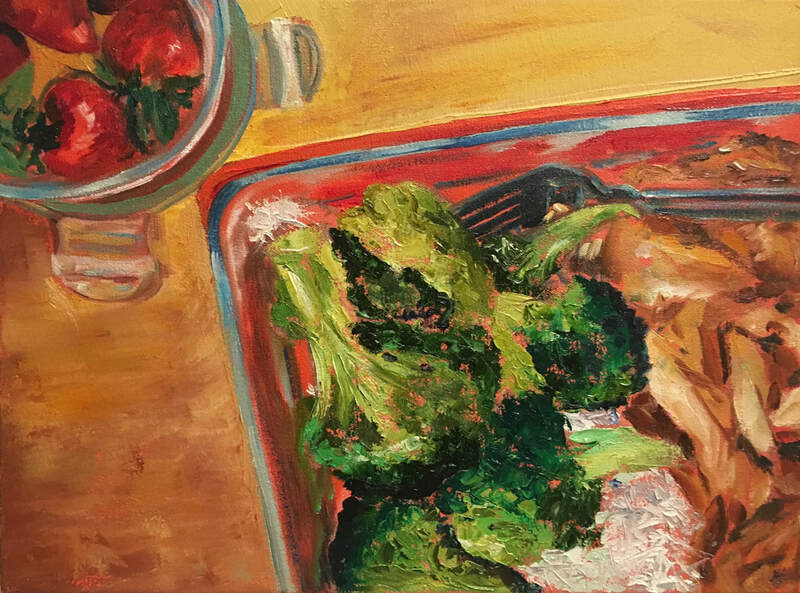 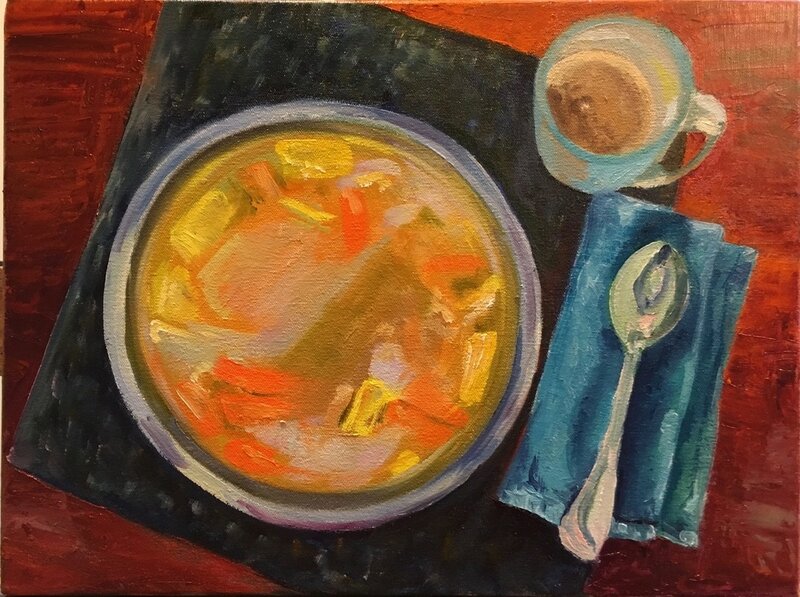 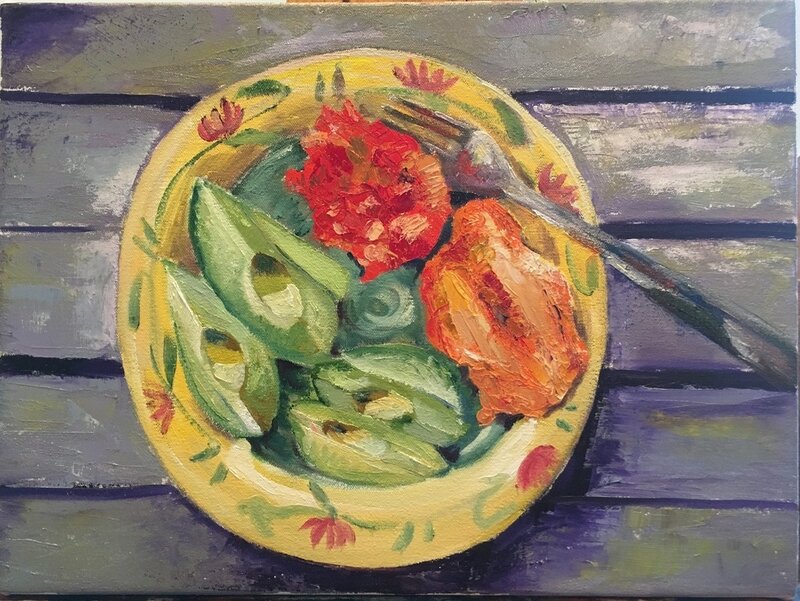 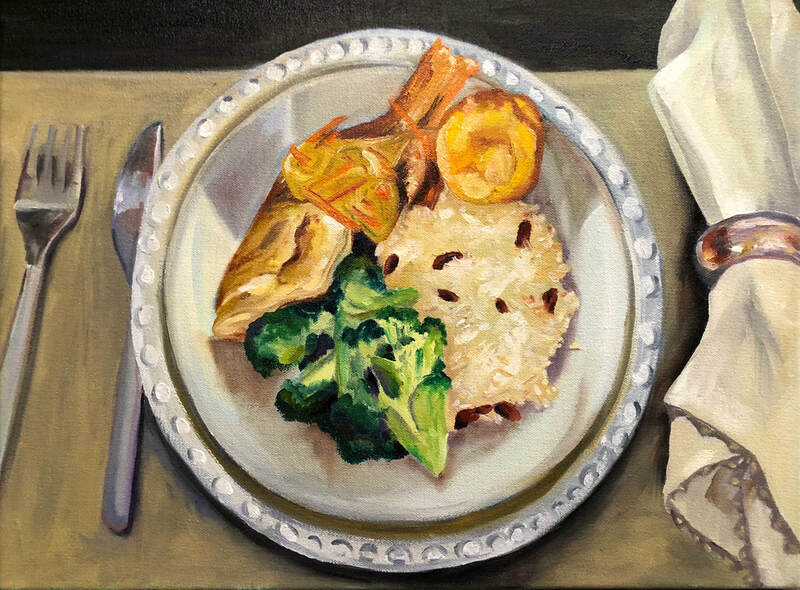 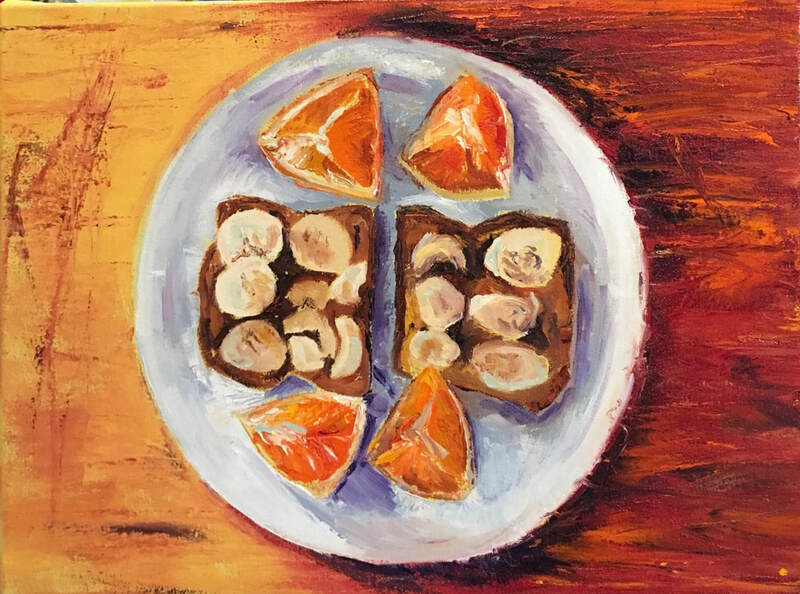 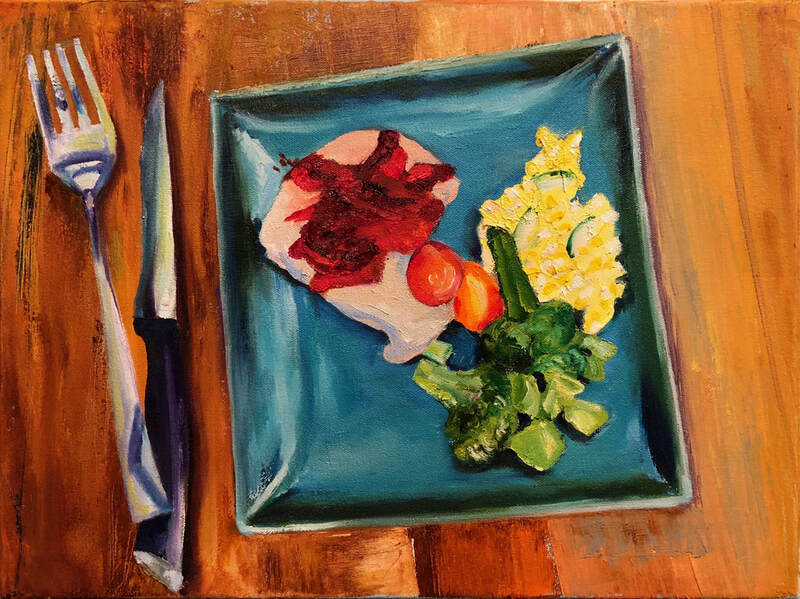 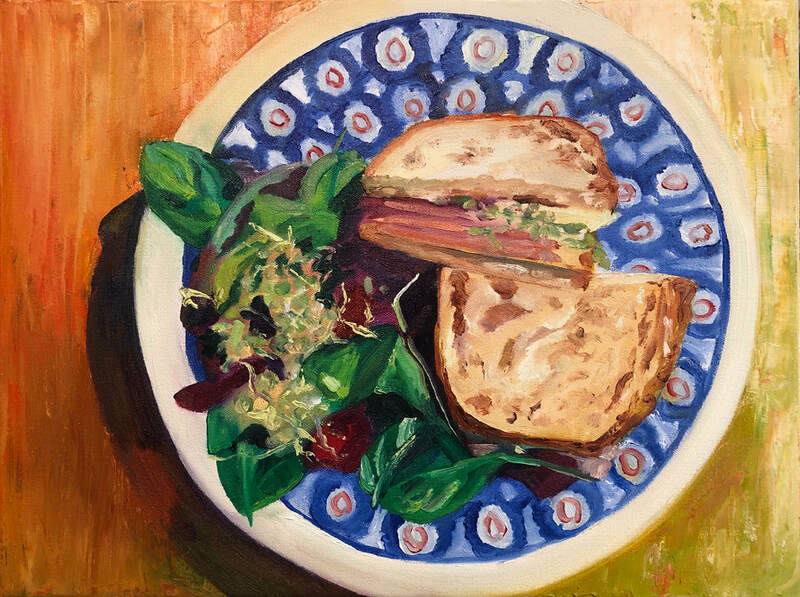 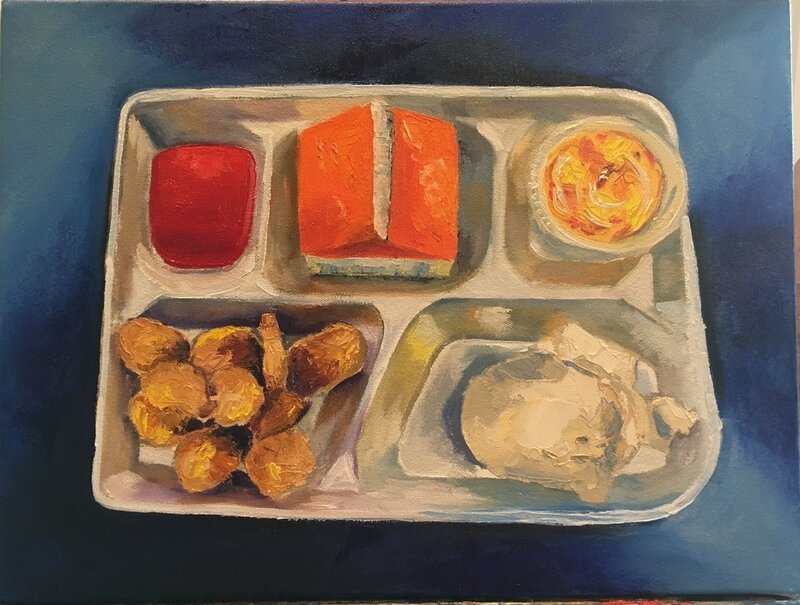 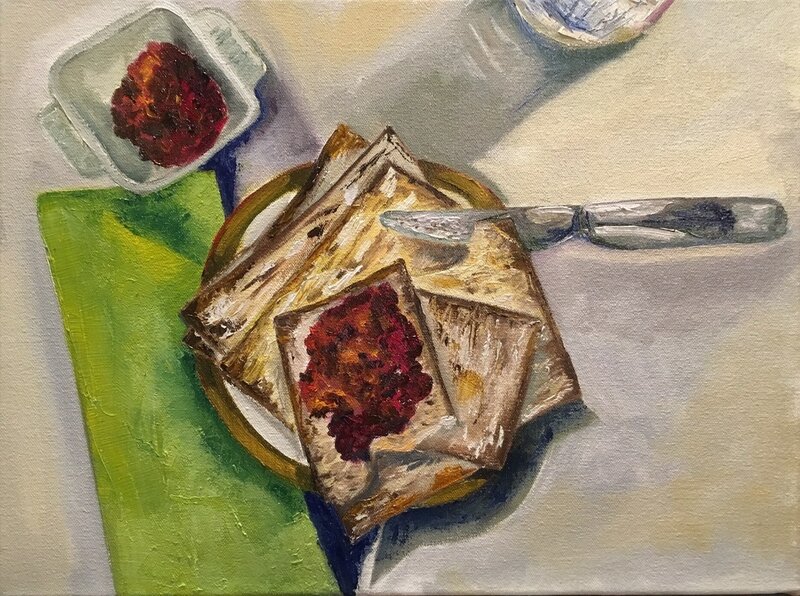 So, with my students already on my mind, and the work of some amazing painters who work with beautifully staged food as their muse, I decided to STOP - and do what felt like "the opposite." To me, the way we eat says so much about WHO we are, WHAT we value, HOW we live. WHERE we eat our lunch also says a great deal about the life that each person lives. 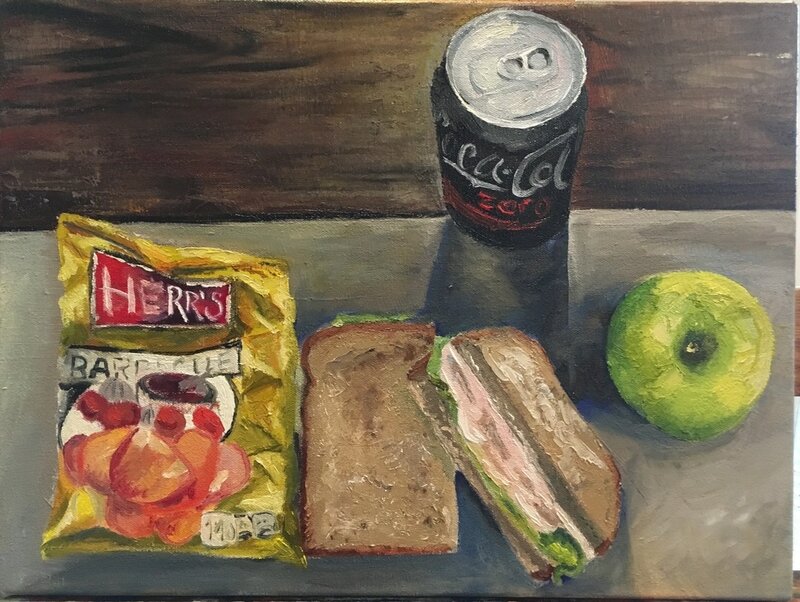 I've asked friends from all different walks of life to share their lunches with me - I only gave the instructions that the photo needed to be horizontal and to avoid staging the scene. I've received hundreds of photos from people representing a wide variety of age, career and lifestyle. 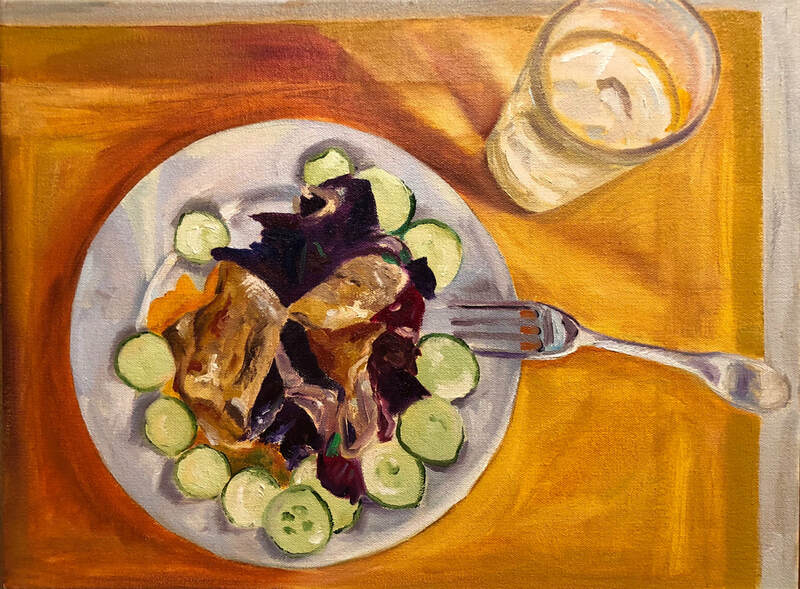 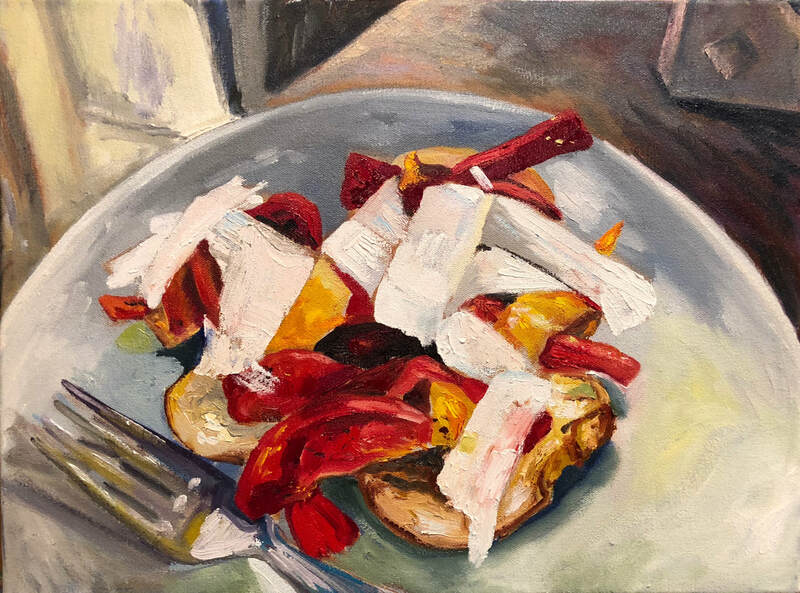 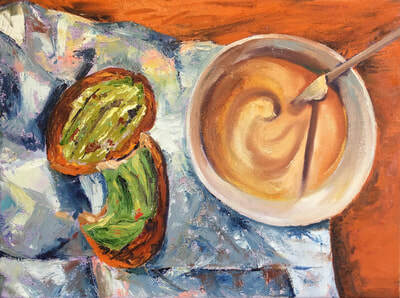 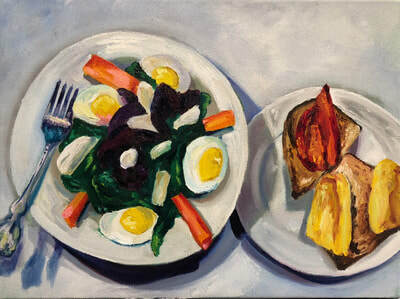 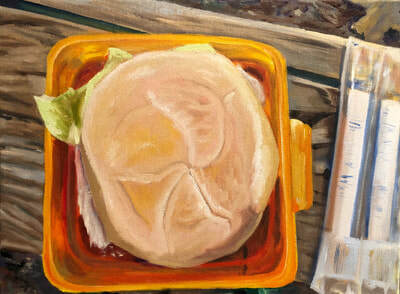 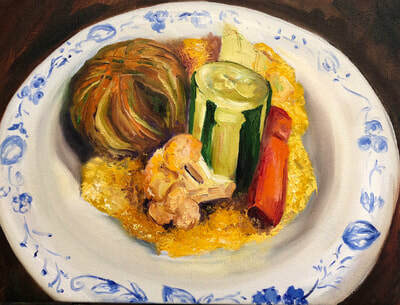 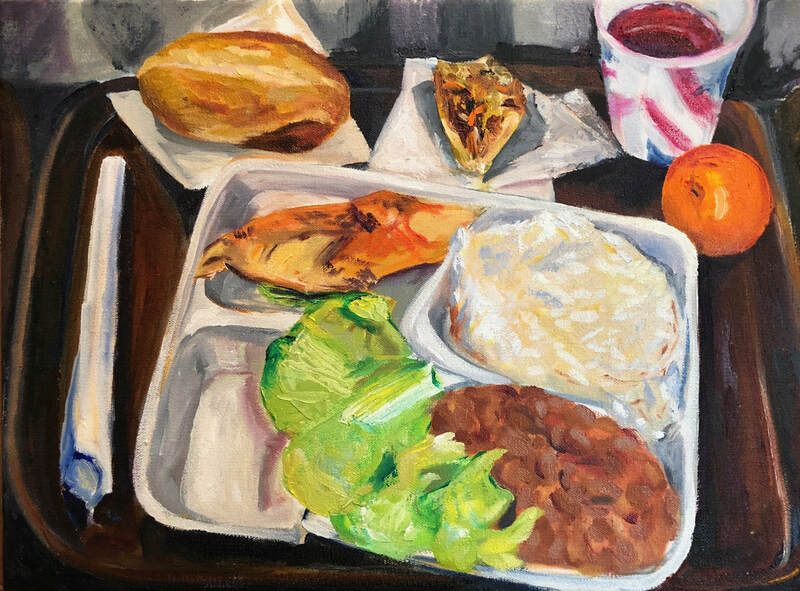 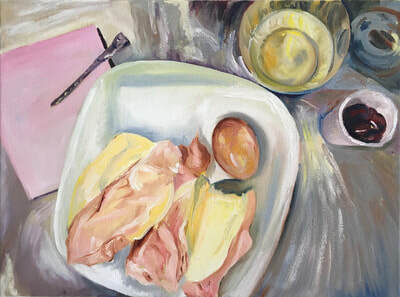 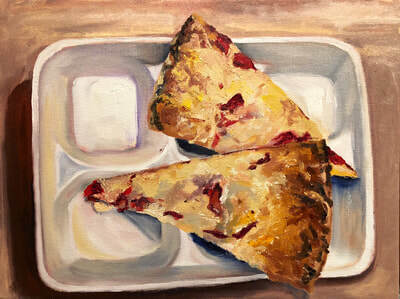 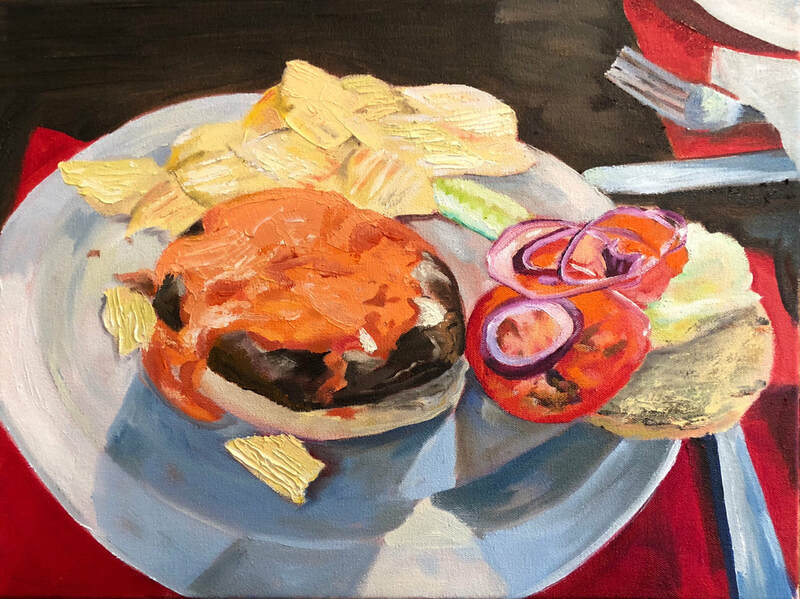 Each painting is titled "name, age, occupation" to give the viewer a sense of who was eating this lunch. 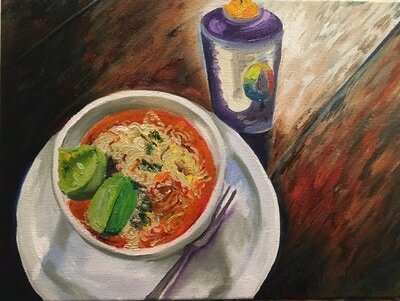 Food is really important. Talking about access to food and the quality of that food is a conversation that needs to happen. I believe that art is one way we can start that conversation. 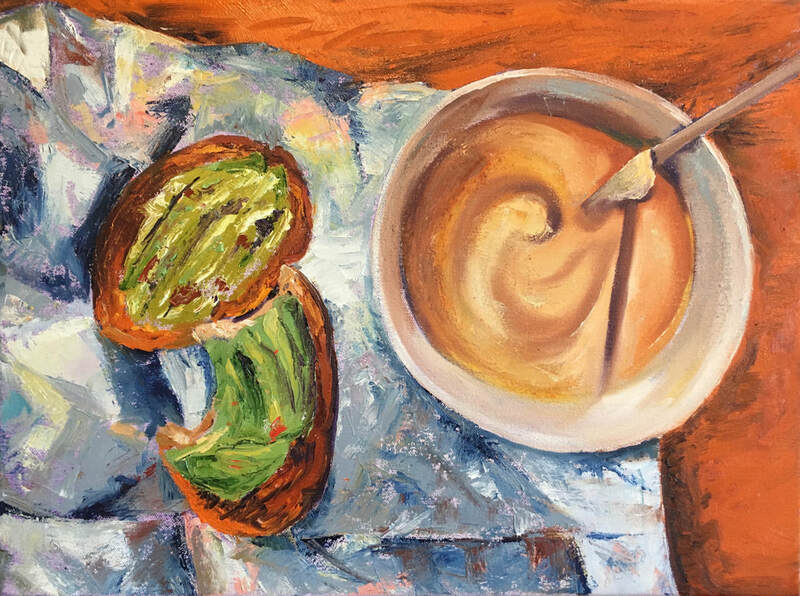 Join the project! 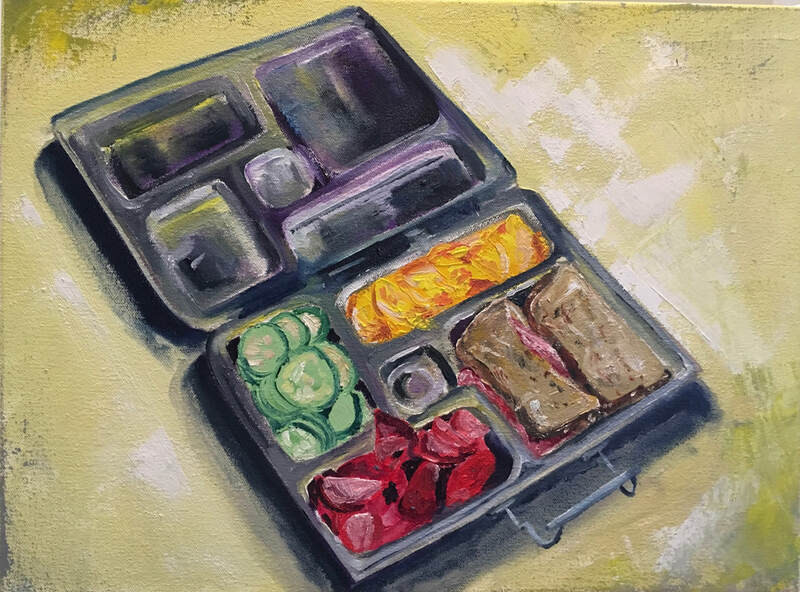 Show me: What's for lunch?